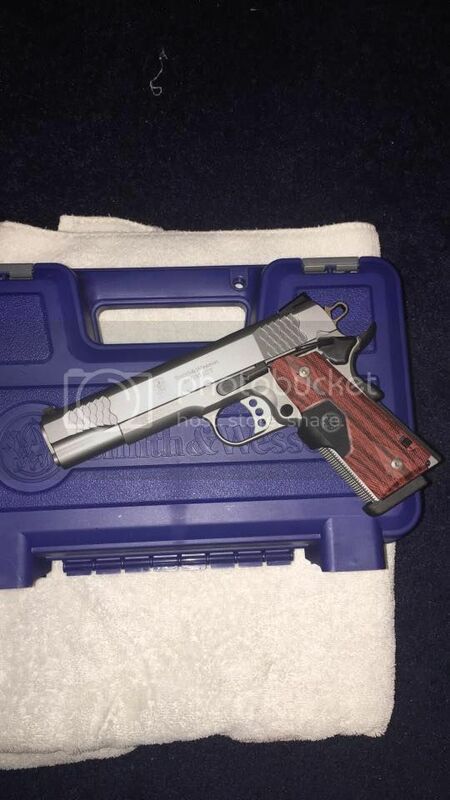 My S&W 1911 E Series 45 Auto. with Lasergrip. This is a discussion on My S&W 1911 E Series 45 Auto. with Lasergrip. within the 1911 forums, part of the Hand Guns category! SilvrSRT10 and priell3 like this. Greed & corruption is the norm. Have you feed it yet ? That 1911 looks a lot like mine . . . . I wonder if I can get a laser sight on mine then . . . . food for thought. Just by the grips . Will fit any 1911.